Below you will find some thoughts about the impact of Blockchain technology in agriculture and food supply chain related to several existing projects and initiatives, overall implications, challenges and potential of Blockchain technology enhanced by relevant semantics and standards on support of different agri-food categories/concepts/terms. ... is a distributed technology allowing users to transfer assets (e.g. data) without intermediaries. The transaction is recorded in a digital ledger (or distributed ledger technology or DLT) shared among the users taking part in that deal. There is no central administrator or centralized data storage. Such a ledger keeps transparent/open views (e.g. data owner) on each transaction, which would define a concrete block within the entire chain. ... recorded in such a decentralized ledger, which is replicated across the chain participants. Once a transaction is recorded, using cryptographic techniques, it cannot be modified. Thus, traceability and provenance are often associated with this technology model. Blockchain provides a way for participants, - for example in the farm-to-fork relationship, to access and contribute to a tamper-proof historical record of transactions regarding a food product, yielding food quality and fair cost/payment narratives, and easier counterfeit detection. Agriculture and food supply chains are well interlinked, since the products of agriculture almost always are used as inputs in some multi-actor (farmers, shipping companies, distributors, and groceries) distributed supply chain, where the consumer is usually the final client. Thus, Blockchain has the potential to provide answers to a number of issues in agriculture, from farmer IDs to smart contracts, from traceability and improving certification, digital payments, insurance, consumer feedback and improved logistics. 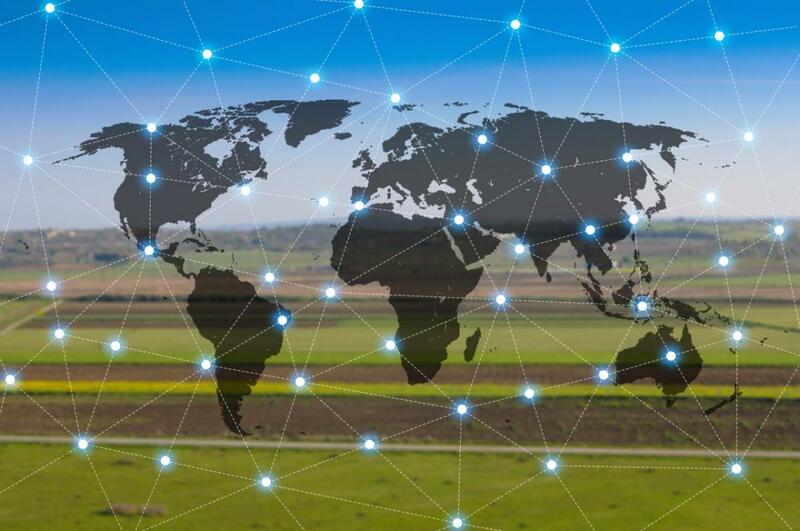 For example, to improve traceability in agriculture value chains, a decentralized digital ledger can help connect inputs, suppliers, producers and buyers. It is with this in mind, we can say that Blockchain is a promising technology towards a transparent supply chain of food, with a number of ongoing initiatives (e.g., AgriDigital that executed the world’s first settlement of the sale of tons of grain on a Blockchain) in various food products and food-related issues. * ZetoChain performs environmental monitoring by providing an end-to- end secure record of temperature and environmental data using blockchain -enabled IoT sensors placed at every link in the cold chain. To achieve a deeper data analysis of food integrity in any blockchain as well as cross-blockchain interoperability - “a key design goal” – we need to use SEMANTICS and STANDARDS on support of different agri-food categories/concepts/terms. Blockchain Applications and Challenges in Spatial Issues by Wang et al. Understanding the Spatial, Platial, and Temporal Properties of Cryptocurrency Ecosystems by Janowicz, et al. You are welcome to Sign up for AIMS News, and follow @AIMS_Community on Twitter... And, thanks again for your interest!